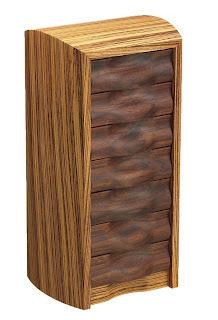 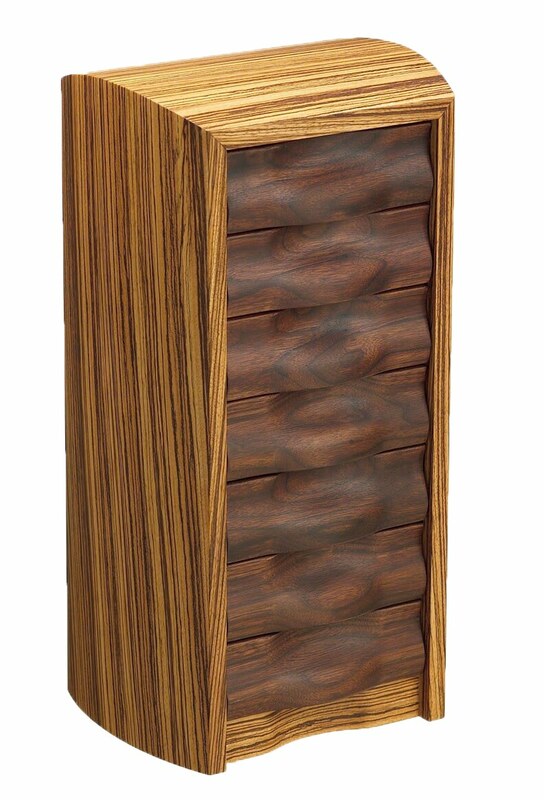 The convex exterior shell of this Undulatus Jewelry Chest has been crafted from Zebrawood, and fitted with sculpted Black Walnut drawers. 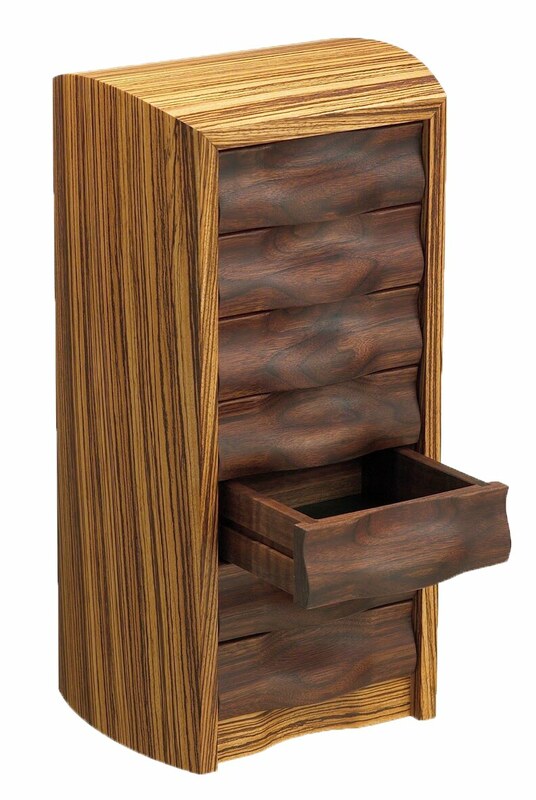 The drawer joinery is sliding dovetail, and the bottoms are lined with Black Tuscany leather. 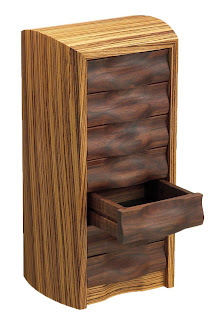 Overall dimensions are 8-3/8" wide x 6-7/8" deep x 16-3/4" high.